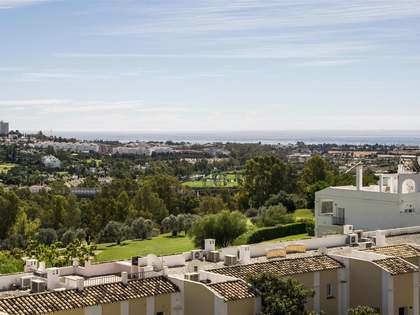 This exclusive duplex penthouse is situated in an elegant new development in East Marbella, surrounded by a beautiful natural environment and just a 5-minute walk to Cabopino, one of the best sandy natural beaches on the coastline with sand dunes, as well as being close to golf courses and Cabopino sports port. 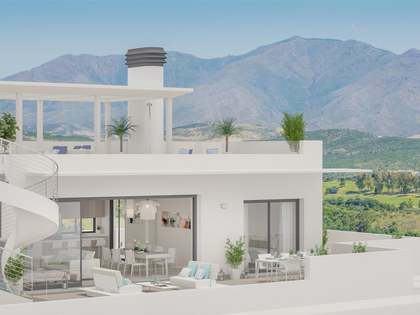 This particular property measures 82 m² and has 52 m² of private terrace space with a jacuzzi and relaxation area on the same floor as the open plan living, dining and kitchen area which is fully fitted with top end appliances and a unique Island-Dining countertop. The 2 en-suite double bedrooms with a terrace are found on the lower level. Underground garage space and a storage room are included in the price of the property. 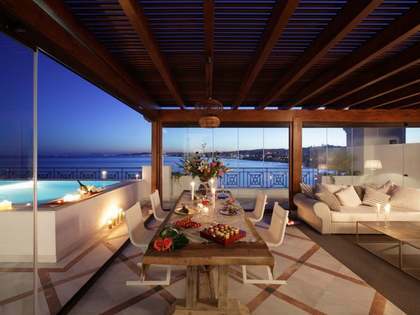 Elegant, modern beachside duplex penthouse in East Marbella.